Dessert is usually served at the end of meal and designed primarily for a pleasant taste. Desserts are divided into hot and cold dishes, but as rule, all of them are sweet. There are also unsweetened desserts from fruit, nuts, cheeses. 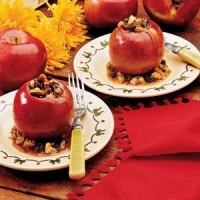 We are glad to offer you different kinds of free dessert recipes. There are thousands ideas for cakes, pies, puddings, ice-creams, cookies and more. A lot of dessert recipes have come to us from the traditional dishes of South American countries. Mexican dessert recipes are very popular. We advice to cook Mexican Wedding Cookies, Mexican Fruitcake, Mexican Crinkles. If you haven't special skills, it is not a problem with our simple dessert recipes, which include detailed descriptions how to cook delicious desserts easy. Chocolate Peanut Butter Dessert, Pineapple Cheese Cake, Peach Schnapps Cake are very good for beginners. If you have limited time, our quick dessert recipes would be also useful for you. Of course, dessert is an important dish of any festive meal. If you want to surprise pleasantly your guests and not expend much efforts for this, use our quick and easy dessert recipes. We all know, any holiday or some other high day cannot do without splendid dessert. Find and use our Christmas dessert recipes, including variety of cheesecakes, puddings, cookies and pies. There is a perception that dessert cannot be a dietary dish. Unfortunately, few people know that extra weight or such disease, as diabetes is not a reason to refuse of desserts. We have a big collection of healthy dessert recipes. So, dessert can be low-cal, low-fat and delicious at the same time. If you don't know what healthy recipe to choose for the first time, we recommend you Diabetic Cheesecake. It is easy and tasty. Our base of easy dessert recipes is the best salvation what to make for sweet finish of any lunch or dinner. All of them are acceptable as for casual, as for festive meal. Use our dessert recipes to cook the tastiest dishes without problems!